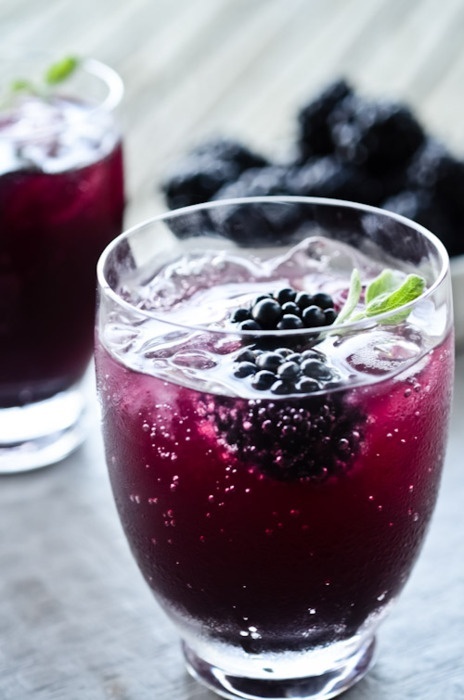 In the bottom of your drinking glass, muddle/crush together blackberries, mint leaves, sugar/simple syrup, rum, and lime juice. Add some ice cubes, then pour in club soda and stir. Garnish with a few whole blackberries and a sprig of mint.